For the last 2 post – a – ramas I tried to attempt making them huge ones but then I hadn’t read enough posts or kept up. BUT… this time finally it’s a big whooper of content I’ve found. This will be my biggest Friday feature to date but like I said I’d been meaning to make a big one for ages. I’d love go back to doing this weekly but the monthly schedule works for me now better. Balancing all my hobbies this year I’ve somehow managed to maintain which is mind bottling to me, I’m happy to report. Honestly sure this blog was going to die like it did at the end of last year but you can always expect I have things in the works for the year. Thousands of posts I have yet to write to come, so it’s a thousand surprises. But time to put on display all the posts I’ve come across in February and March, hope you guys enjoy the new material to read. !! When Can We Start Saying No To Sequels? By Blackatron (Black & Yellow Otaku Gamers) Blackatron discusses the rise of sequels for series such as Psycho Pass, One Punch Man asking the question do they need them? What about other series that need sequels more than these popular series. Good discussion to bring up at a appropriate time for anime. A Spring Time With Ninja’s First Impression By BiblioNyan Nyan is a blogger I admire for telling you like how it is and enjoyed her read on a cliche shoujo title. For a shoujo lover such as I, these type of posts are everything and deadly at the same time. Add another title for me to read to my massive pile already. Five Recent Mecha Shows Worth Checking Out By MechanicalAnimeReviews Scott has been slaying it during Mecha March and highlights the newest mecha series on offer, his choices are ones I would have chosen. New mecha’s don’t feel get fair recognition and fly under the radar so definitely check out this awesome list. Love Letter To Sevens Seas Entertainment By RaiAnimeBlog Sevens seas is one of my favourite manga publisher and it was given, I was going to love Rai’s post. Where she talks about her love for this publisher and Yuri/LGBT manga they have published over the years, that are dear to hear. The Biggest Anime DVD Box Set I Own: RahXephon Limited Edition Unboxing By TakutoAnimeCafe I’d love to see more collection posts about like this one Taku did displaying his gorgeous set of Rahxephon. Rahexphon is up there next to Ergo Proxy, in strangest anime I’ve ever seen but a intriguing trippy watch. He only reminds me I need to get a collection update post sometime in the next couple of weeks. Should You Watch Boogiepop & Others? By Jenn (Hellzone Blog) Jenn always writes the most humorous posts that I feel is close to my own style of blogging. We like to be fun and funny and her argument for you to watch the new Boogie pop is a convincing one. Jenn does a great job highlighting how the series doesn’t follow a particular pattern in-fact it doesn’t care. It’s going to where it wants and it’s sounds like a blast the way Jenn describes. Not Everything Needs A Review By Phoenix Talks Pop Culture Japan One of the things as a blogger you’ll grow into a habit of is wanting to review everything you watch. In their post Phoenix reminds you that it’s okay to not review some shows. We forget sometimes to just enjoy a series, and not feel like we have to write about it. It’s okay to take time out and watch something for your own pleasure. Really enjoyed this reminder read. Manga Review – I Am Here!By Daiyamanga Krystallina is one manga blog you should be following, this girl’s blog is my go to in search of new things to read. As such as the case here with her review of I Am Here a cute romance set in middle school, where Krystallina highlights is a great for readers in this demographic. A ideal innocent read, I’m convinced!! Manga Review Takane And Hana #1 By The Little Book Witch Thanks to Rocco’s new feature segment I discovered this adoring blogger. Sarah did great coverage for this age gap romance, I myself are loving right now. Love how in detail she goes highlighting how the author manages to keep this story so innocent. Very convincing first impression for checking out this title. Why I Love Wonder Woman By Rachel’s Reviews This was a incredibly personal post that was such a joy to read. Wonder Woman is without a doubt one of my favourite DC films. Rachel in her post expresses her own personal beliefs and spiritual connection to this film. Talking from an angle that is refreshing to see. Definitely give this a read. Why Goodreads Is My Current Obsession By Simpleek I felt personally connected to this post and this bloggers perspective. As I myself has just gotten back into reading within the last six months and Goodreads has been a motivating app to help along with the process. La filette revolutionaire By Josh Utena is among the many old series I have yet to see. Josh’s post was another convincing read of why I must get on this classic pronto. He highlights the great dynamics of sexuality and complexity this series is known to cover so well. Dallos (1983) By Animehead’s RetroWorld You guys know Lita test in old anime will never die. Anime retro world’s post covering an old OVA Dallos was a fascinating read, I haven’t watched enough old OVA’s yet. Set in a futuristic setting, space it definitely has that retro vibe going for and the knowledge displayed for this OVA was truly interesting to read about. Versues Makoto Shinkai Voices Of A Distant Star By Ramblings n Scramblings Emiko is a new blogger just started following and already has impressed me with her in-depth intel you see in her writing. Her comparison on this Shinkai’s film and the manga was a incredibly, interesting read. I had no idea Shinkai had such personal involvement with this project and Emiko does a great job of covering the use of animation, dialogue, etc between the two adaptations. Clannad After Story – Forever A Master Piece By Iki Another new blogger I’ve come across. Iki’s personal connection to tear jerker as we all know Clannad. It was a sweet read and have to agree this series emotional ability to move it’s audiences with it’s story and characters is incredible. 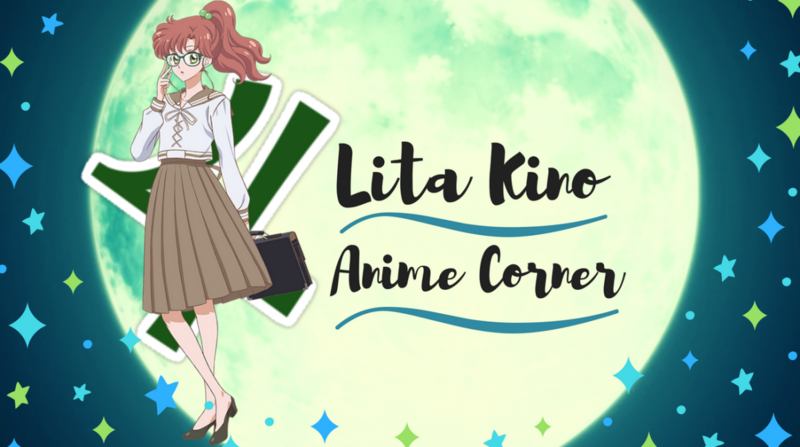 Sunday Funday: The Zodiac Signs as Anime Characters Featuring The Aniwriter! By Kawaii Paper Pandas (Collab) Ayano and Jack wrote a extremely fun post picking anime characters in accordance with the twelve animals of the Chinese zodiacs. Some cute and interesting choice, great collaboration idea from these two. Simple Love Stories: Sono Toki, Kanojo wa. Review By A Girl & Her Anime Amelia found a rare short romance series following four characters and their relationships. Need more be said here, any romance lover like will check out any romance series. Using a sketchbook animation approach and couple of familiar voice actors you may know, this sounds like a cute watch. Has Anyone Else Watched ID-0?By Let’s Talk Anime This was news to me a new netflix mecha series. I first heard about it from Scott and reading this post going into more detail. Only interested me even more, by god. The cool concept of people controlling the mecha’s with their minds, I feel sold already. This was a great coverage for this newest mecha series on the block. The Life Changing Manga Of Tidying Up Maria Kondo By The Otaku Brit I have to watch the Marie Konda Netflix series as at heart I love cleaning and organising things. Years ago I remember seeing this manga version and never took interest in it too now. Reading Otaku Brit’s post has made me want to pick this up now, Marie’s approach to cleaning and organising is so similar to mine and I need this book in my life. Sora Yori mo Tooi Basho Review: The grand adventure By Marth’s Anime Blog I said to Marth I was looking forward to him starting anime reviews, he was worried for nothing. I extremely enjoyed review on this slice-of-life which is dearly loved by many. Marth highlights his personal connection to travelling regarding this series and I thought did a good job highlighting in a short review, the charm of this series. 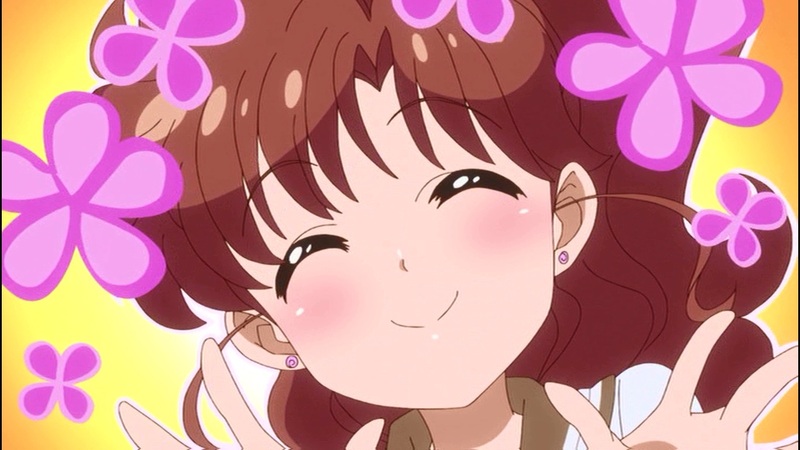 Baka to Test to Shukanjuu S1 & S2: After Thoughts By WhenSiriusWrites Baka to Test has been a anime sitting on the fence. For years I’ve never had the lure to watch this series but reading Sirius review has convinced me to give it a shot. If there has been one thing reading endless reviews on this series, is it’s humorous factor. I don’t doubt this and overall a good review covering the craziness this series seems to possess. Gundanium Messages for Peace By Merlin’s Musings It was easy to catch my attention here soon as I saw the Gundams. Ahaha. Merlin highlights 5 Gundam series that carry the message of peace and overall good overview on why these Gundam are great watches. Loved this a lot Merlin, great job. True Plot Holes By Anime Rants Another new blogger I’ve found and I enjoyed reading their perspective on plot holes. This is always a thing left open to people’s own interpretation in what people perceive has a ‘true plot holes’ Anime rants gives examples and how plot holes become lost in translation for viewers. Hope you guys have new stuff to read!! After 2 hour spending on this post, that’s how long it usually takes me. I’m happy with what I have on offer for you guys. There’s in total 25 for this time around, which is the most, haha let’s aim for 30 next round. Please do go check out all these amazing posts I had enjoyed reading and discovered a few new people. One thing that made me feel sad slightly was scrolling through all the blogs I follow. So many I had followed from the beginning no longer are posting or deleted their blog. There was a lot which made me realised how much effort this year I want to put into this blog more than ever, get out my musing more. Makes me want to keep the community alive as best I can. I do hope whether new or old enjoyed this edition of Post – A -Rama, I have a new Friday feature interview to come out on Friday finally! !, Look forward to that !!! Thanks for the mention Lita! Very kind of you! Fantastic post Lita!!!. I’m glad I could help out with finding some new bloggers for you to check out xDD. 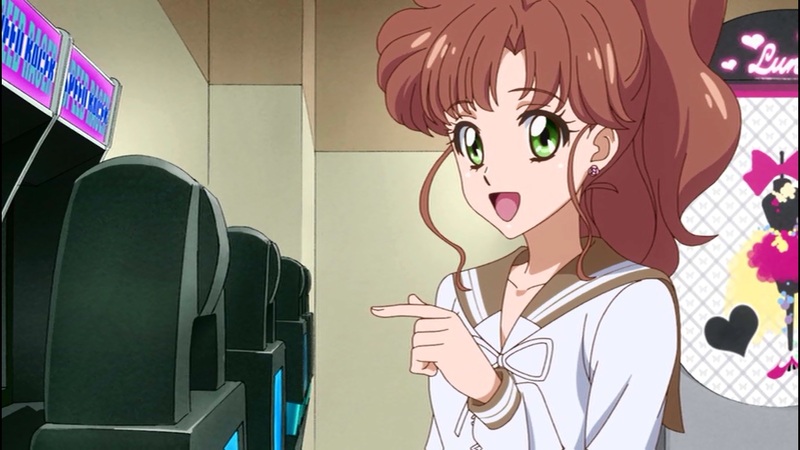 Oh you should ask Emi, she does fan dub VA. I’m not sure if she has a YT channel. Also, I second you watching Utena. I think you’ll really like it. OMG RahXephon is so trippy (and Ergo Proxy is by far the weirdest anime I’ve ever seen)! Thanks for the shoutout Lita! Thank you for linking my post. I hope you like the manga. It’s very cute and short, and definitely worth it if you’re in the mood for something a little sweet! Thanks for mentioning my post! So excited to check out all these other posts. Thank you for including me! I’ve been kinda MIA lately, so I always enjoy reading all the stuff you pick for these post-a-ramas 😀 It helps me catch up on all the stuff I’ve missed!